The Miracle Midge was developed along the South Platte River in Colorado. The miracle is attributed to the body color which changes color once immersed in water. The fly is usually tied with a black thread underbody which lies beneath a white floss layer. When the fly gets wet, the overall color of the body will turn to a mottled gray. This coloration is very close to many of the midge larvae naturals and the pattern has done quite well over a number of years. 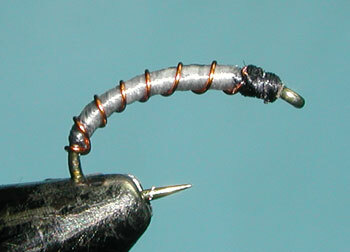 Often, particularly within the smaller sizes, the black thread underbody is left out completely and the shank is just wrapped with a white thread or floss. White thread will perform a color change but not as pronounced as the floss. Danville makes a Flat Waxed Nylon thread in white that is super strong and translucent when wet. 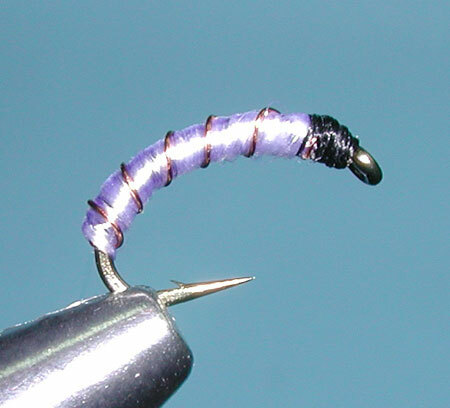 Wrapped without a black underbody, it will show the color of the hook with a milky sillouette. The miracle midge that is attributed to Bob Bush is a little different from most of the miracle midges marketed, it has a fine silver wire rib and a thorax of fine gray dubbing. 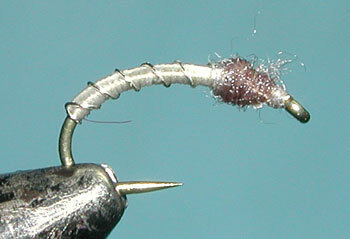 However, the miracle remains with the use of White Gordon Griffith's 14/0 thread for the body over the darker hook. Bob ties his down to size 24-28, which is often the preferred sizes within Lees Ferry, AZ or the San Juan River, NM. Within the Sierras, however, we tend to use larger sizes in the #18-20 and the larger sizes will allow you to tie the fly with a Uni-thread 8/0 and underbody.